Earlier this week Google introduced its flagships Pixel and Pixel XL smartphones. 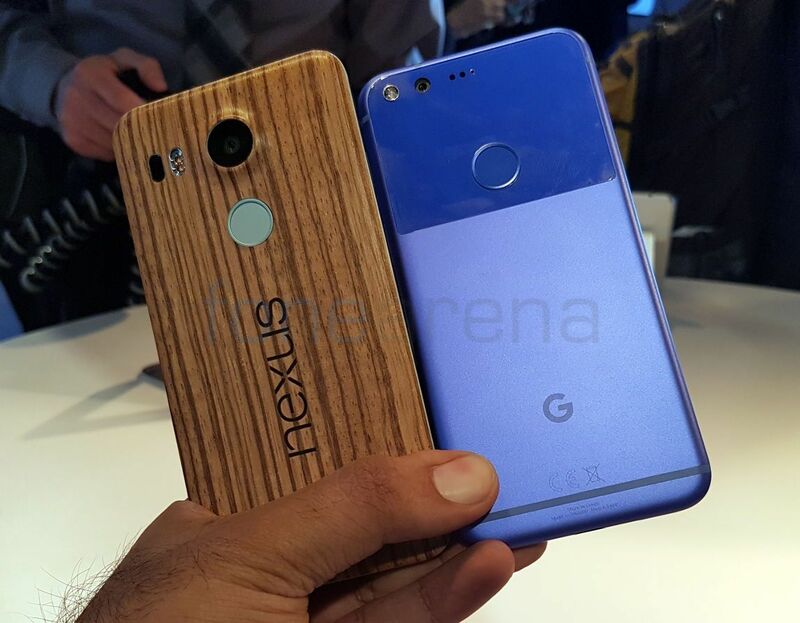 The Pixel is a Nexus 5X successor. So let’s compare the two phones and see the difference between the two. The Pixel sports a 5-inch (1920x 1080 pixels) AMOLED display with Corning Gorilla Glass 4 protection while the Nexus 5X sports a 5.2-inch (1920 x 1080 pixels) Full HD display with Corning Gorilla Glass 3 protection. 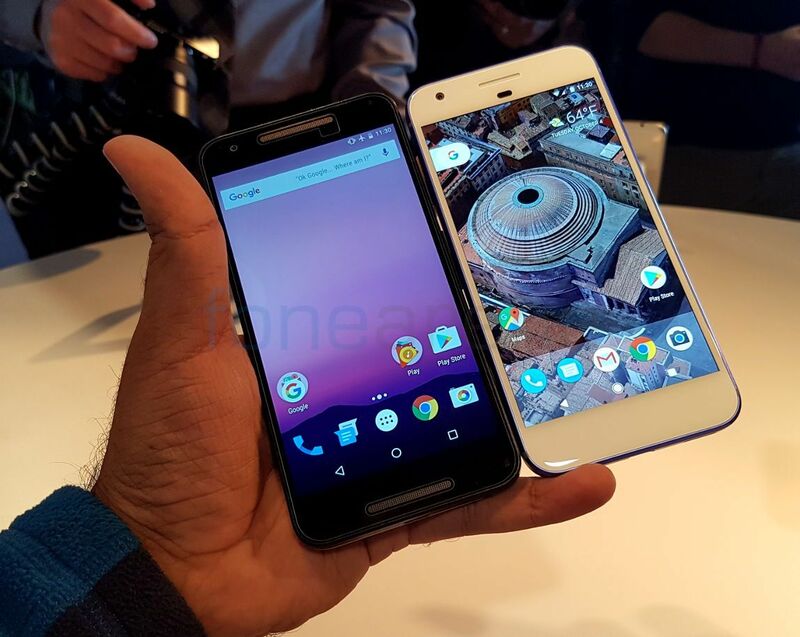 The Pixel is powered by a 2.15 GHz Quad-Core Snapdragon 821 processor with Adreno 530 GPU. Running Android 7.1 (Nougat), the phone comes with 4GB LPDDR RAM and 32GB / 128GB internal storage options. The Nexus 5X is powered by a hexa-core Snapdragon 808 ( 4x 1.44GHz ARM A53 + 2 x 1.8 GHz ARM A57 ) 64-bit processor with Adreno 418 GPU. It was launched with Android 6.0 (Marshmallow) and recently got Android 7.0 Nougat. It comes with 2GB RAM and 16GB / 32GB internal storage options. 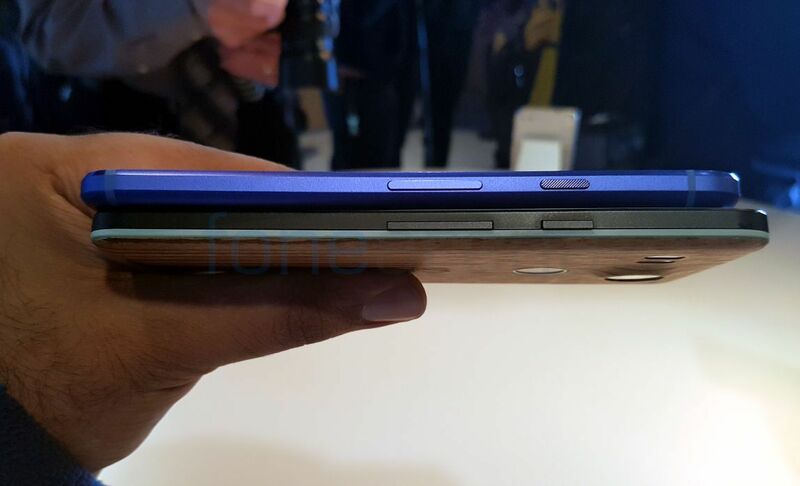 The power button and volume rockers are present on the right side for both the phones. You can additionally see antenna bad at the top and bottom on the right side. 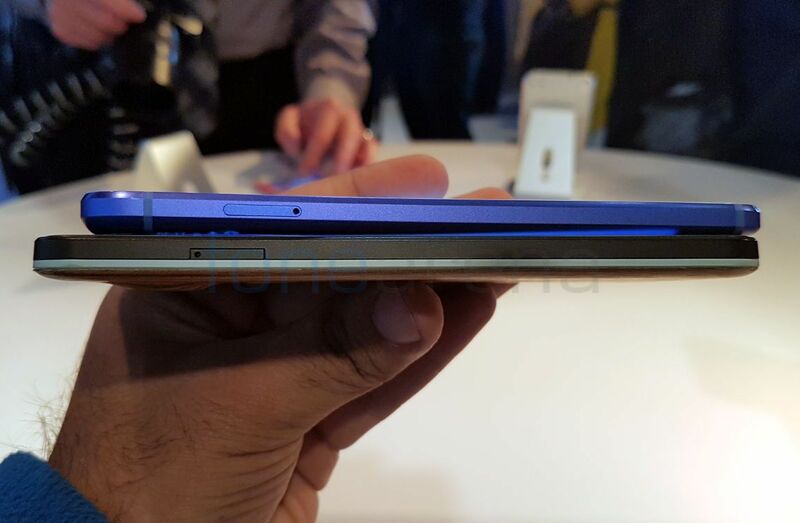 A nano SIM cars slot is present on the left for both the phones. 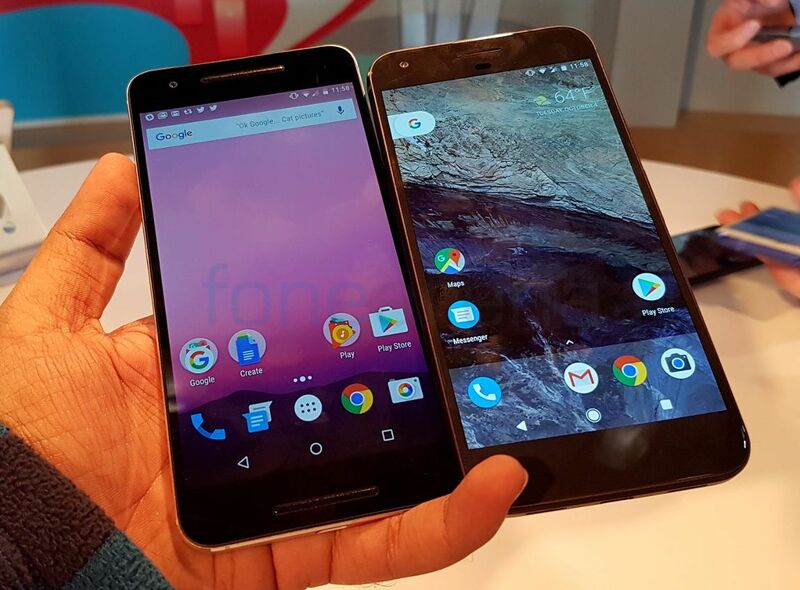 The Pixel measures 143.8 x 69.5 x 7.3 and weighs 143 grams while the Nexus 5X measures 147.0 x 72.6 x 7.9 mm and weighs 136 grams. 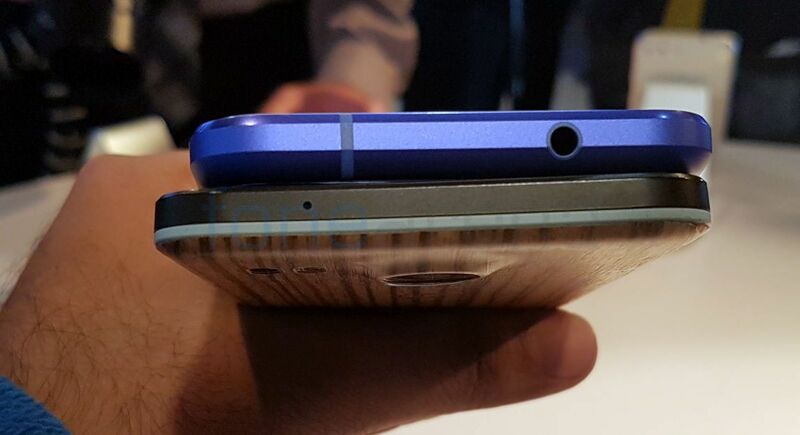 The 3.5mm audio jack is move to the top for the Pixel while the Nexus 5X has a secondary microphone at the top. 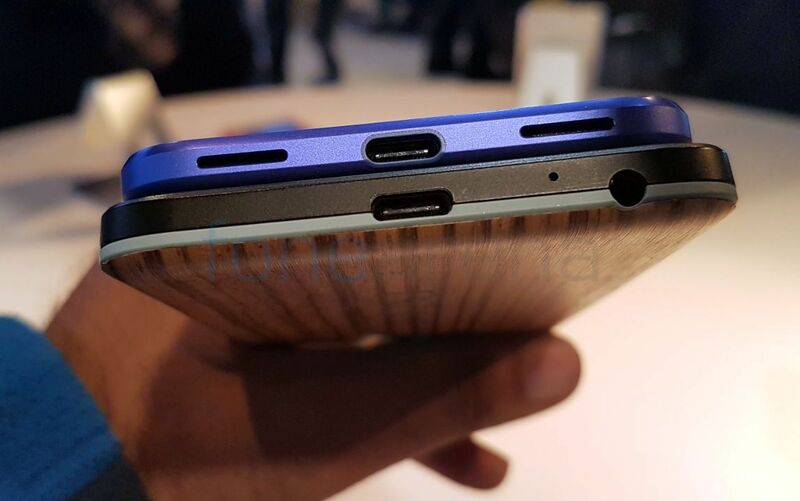 The Pixel has a USB Type-C port along with speaker and microphone on either side while the Nexus 5X has USB Type-C port, microphone and 3.5mm audio jack. The Pixel has a unibody metal design and a 2.5D glass on the top half. The fingerprint sensor is present on the glass back along with 12.3MP rear camera with LED flash, Sony IMX378 sensor, 1.55um pixel size, f/2.0 aperture, PDAF, LDAF. Also seen are microphones and laser auto focus next to the camera module which does not come with a hump. The Nexus 5X on the other hand has a plastic back with fingerprint sensor and 12.3MP rear camera with dual-tone LED flash, Sony IMX377, 1.55 micron sensor, f/2.0 aperture, Laser Auto focus. As the Pixel is “MadebyGoogle” it has a ‘G’ branding at the lower back followed by antenna line. The Nexus 5x has a Nexus branding followed by LG branding. In terms of battery, there is no major difference as the Pixel has a 2770mAh battery as compared to 2700mAh on Nexus 5X.